Watch full One Piece Season 15 Episode 5 English Dubbed full HD online. One Piece Episode 521 English Dubbed online for free in HD. After Brook escapes from the Marines at the Sabao Dome with a Rosy Life Rider, a riot is going on in the dome. Meanwhile, Luffy is caught before the Fake Straw Hats. However, the Marines confront them just as Caribou kills the injured Marine. Caribou refuses to cooperate with Fake Luffy and the Fake Straw Hats battle the Marines. The Pacifistas appear to defeat the Fake Straw Hats and discovers the real Luffy and knocks down Doughty. Sentomaru catches the Fake Straw Hats, and promptly defeats the Fake Luffy, exposing him as Demalo Black. Just as Luffy reveals himself as the real one and destroys PX-5 with his new abilities, Sanji and Zoro reunite with Luffy and destroys PX-7 together. 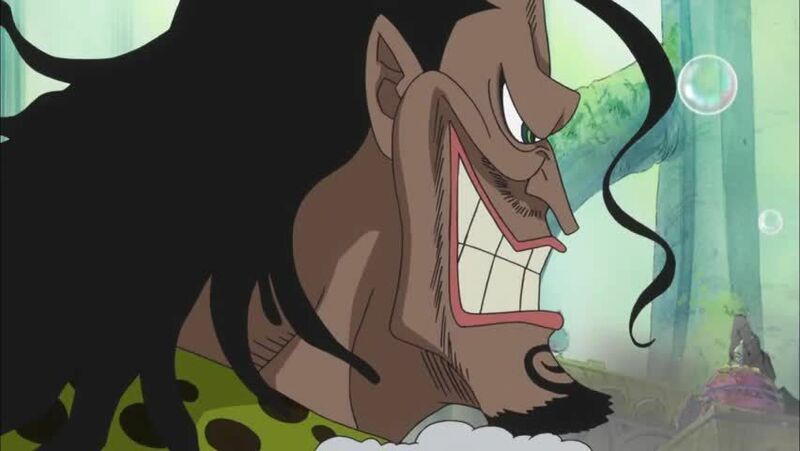 When Luffy, Zoro and Sanji meet up with Rayleigh, Luffy proclaims that he will become King of the Pirates.